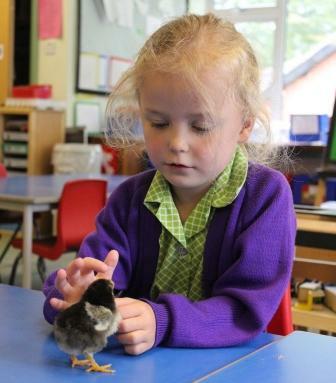 As part of their topic on life cycles, the children in Reception have enjoyed spending two weeks with some new baby chicks. 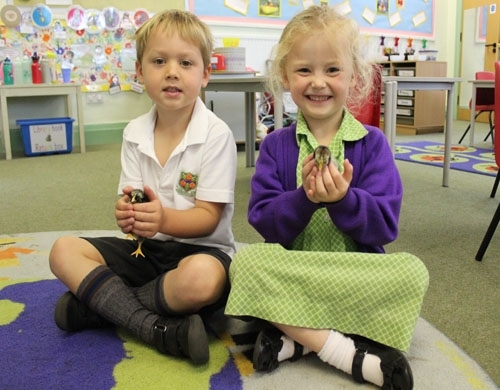 Mr Boast brought them in for the children to watch and see how they would hatch. The chicks were taken away last weekend and when they returned earlier this week, all but one had hatched. The children delighted in being able to see the last one hatch. They named her Poppy. Thank you to Mr Boast for bringing them in – what a special way of learning about life cycles!